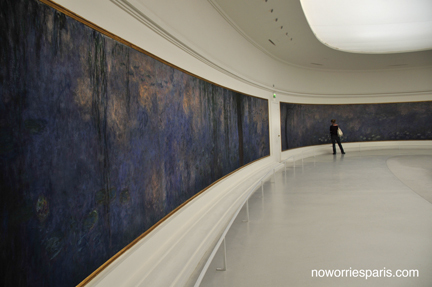 On April 12, 1922 Claude Monet signed a contract donating the Nymphéas series of decorative panels painted on canvas to the French government, to be housed in redesigned, oval rooms at the Orangerie. 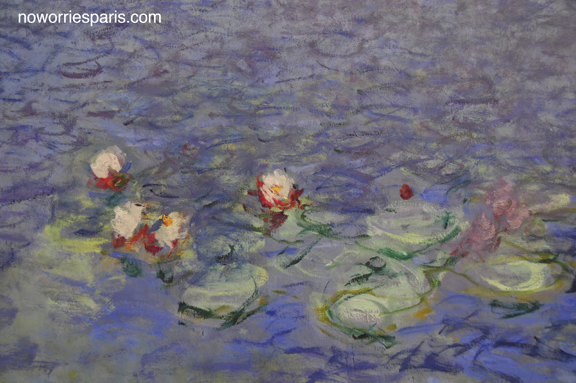 Unwilling to relinquish his final works of art, these water lilies paintings stayed with Monet until his death on December 5, 1926. On January 31, 1927 the panels were mounted (a process that involved gluing the canvas directly to the walls), and the paintings were in place by March 26 of that year. 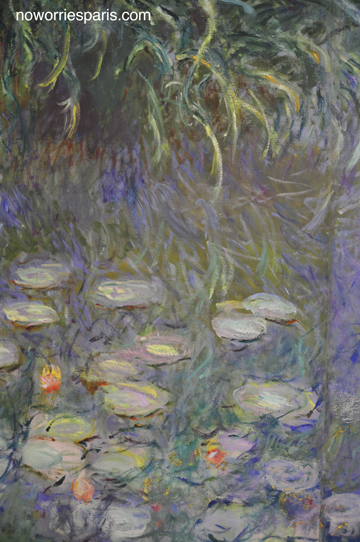 On May 17, 1927 Monet’s Nymphéas at the Musée de l’Orangerie opened to the public. Be sure to take a close look at the rough sculptural surfaces, layers upon layers of unblended paint, reflections, shadows of weeping willows, a landscapes with no horizon. Patches of genius are incorporated into one gigantic masterpiece. Sit a spell in quiet meditation. 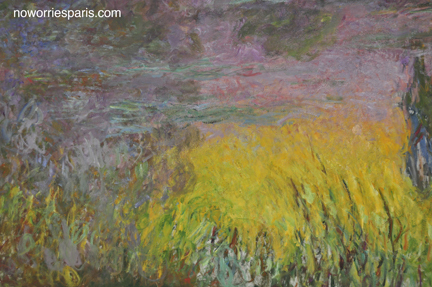 You’ll feel Monet’s presence. Open everyday, except Tuesdays, May 1 and December 25 from 9 a.m. to 6 p.m. English guided tour every Monday and Thursday at 2:30 pm. 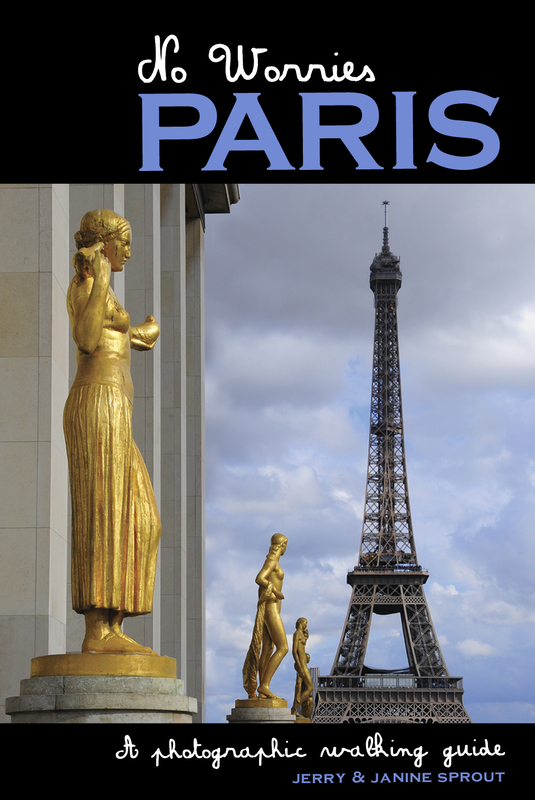 This is one of my favorite places to visit in Paris. I love how the paintings change as the cloud cover deflects the sunlight! It is such a moving tribute to the WWI veterans as they returned home from war.